Alright, veggie lovers, it's time to let the world know (okay, let me know) that you appreciate all the vegetable recipes on A Veggie Venture. You see, for the last few months, I've been re-building the Recipe Box to make it easier to find recipes quickly. And this week, I finished my favorite section, the Alphabet of Vegetables, the fabulous (if I may say so myself, but you're allowed to say so too!) way to find great vegetable recipes easily and quickly. Yes, it's the perfect A - Z of Vegetables, with recipes just a click away! 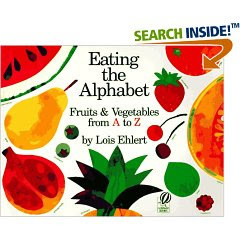 And to make sure you know about it, to give you extra reason to poke around the alphabet a bit, from now til the end of April, I'm offering the chance to win free A - Z vegetable books of your choice. It's easy! And no purchase is required, no cooking is required!. Here's how it works. When you sign up for a new e-mail subscription (see Never Miss a Recipe to the right) between now and April 30th, you're automatically entered. AND - When you try a new vegetable (your choice of vegetable, your choice of recipe) and write me all about it (see the e-mail address below my photo on the right) or for food bloggers, if you post it, you're automatically entered THREE times. And if you do this more than once, yes, those count three times too. For every 100 entries, I'll send the cookbook of choice to a randomly selected entry picked out of a hat on May 1. These are good odds, people! Are food bloggers eligible? You bet! Are people outside the U.S. eligible? You bet! Are vegetable haters eligible? Um, okay, sure! Are kids eligible? Of course! I'm hoping that my pal Freddie will pay a visit. How about dinosaur kale for your favorite seven-year old? Is it okay to tell your friends so they're eligible to win too? Does Alanna like beets? Of course! So please, please, please, delurk and put your name in the pot to win the vegetable inspiration of your choice. What does it mean, to delurk? Well, a 'lurker' is someone who faithfully follows a blog, watching silently through the screen without commenting. A 'de-lurker' is someone who breaks out of the silence and starts leaving comments! Even just one! Here are the A - Z books I've selected for the cookbook winners. All except the first book are ones I rely on for vegetable inspiration all the time and honestly, if you choose to buy your own copy, you'll definitely be a winner. Cook's Illustrated And this isn't a cookbook but a magazine subscription. But nearly every issue includes a great vegetable recipe, including the ever-so-popular World's Best Green Casserole. Okay folks, only 16 days to go! Let the A - Z begin ................... and where do you start? Right here, in A Veggie Venture's brand-new, just-updated (and fabulous, yes?) Alphabet of Vegetables. Hi Alanna - I've used your alphabet of veggies a couple of times to find recipes and I must say this is *much* easier to use now. Thanks for all your work. For some reason your post about the albino deer doesn't have a comment link! I just wanted to say that up here in West Bend we still have the drug store soda fountain. Come on up for a visit and I'll buy you a vanilla coke! I use an RSS feed, so I've never signed up for the email service. So many of the recipes are already printed out in my custom cookbook. In the past year, my husband decided to drastically reduce the amount of meat he was eating. I found A Veggie Venture and was delighted. I have cooked the Perfect Pan Fried Broccoli enough that I know it by heart. Oh, yum! So darn delicious. My favorite vegetable is zucchini. Yes, we have it in abundance in the summer, but I can do so much with it! My least favorite vegetable is the green pepper. Just doesn't agree with me. A vegetable I've never tried but would like to are leeks. Tried to cook myself that is. I'm pretty sure I've had them in a restaurant. What gets in the way of eating more vegetables: it's all about time in this family. We plan the dinners and life gets in the way forcing us to eat out. Those veggies wither away in the crisper. I just started growing my own vegetables and I love your A-Z! # Favorite vegetable - Favourite to just munch would have to be the carrot. Favourite in terms of versatility and necessity - onions! # Least favorite vegetable - chicory or Begian endive. It's the white one that has the bitter core. I just can't get to grips with it, which is a pity as we receive it quite often in our vegetable bag. Kohlrabi comes a close second but now that I'm growing my own I am going to have to learn to enjoy them, right? # A vegetable you've never tried but would like to - I have never actually eaten an artichoke! # What gets in the way of eating more vegetables - we eat a lot of veggies but the biggest push I've had to eat more veg has been joining an organic veg box scheme. Now we have to eat what we get and I am more inventive about what we make to include the vegetables, where before I would make a main dish and make the vegetables fit around it, rather than vice versa. The kids and their finickiness get in the way of most vegetable eating, although they do eat most of their vegetables. I love all vegetables dearly, but maybe my favorite is not a "real" veggie at all: Mushrooms! Least favorite: probably an Indian vegetable called "karela" or bitter gourd. It is a bit too bitter for my taste. I'd love to try the chayote squash...somehow never got around to it. I do eat vegetables every single day, but I shop on the weekends, and sometimes by Thursday or Friday, I run out of fresh vegetables and sometimes have to do without. But I keep some frozen veggies on hand for such times. Oh how fun Alanna! This year when the produce starts rolling in, I plan to use Eating The Alphabet with my kids to get them more interested in vegetables. I can't wait for something to start growing! 2.My least favorite vegetable is rutabaga. Ugh. The only vegetable I loathe. 3.A vegetable I've never tried but would like to would be ramps. 4. What gets in the way of eating more vegetables? Location, location, location. Our growing season is pretty short here- and so often the local options to buy shipped in produce is cost prohibitive. We love vegetables and use your website frequently. Because of you, we now eat lots of beets! Favourite veggie: I have so many, it's hard to choose. Should it be freshly shelled peas, green beans, tomatoes, squash, leeks, or zucchini? After some careful thought, I would probably have to say onions. We use them in everything and/or on their own. Carmelized onions are amazing on hamburgers and hotdogs. Least favourite veggie: This is easier, because for us the list is a short one. But I will pick spaghetti squash. I love all other kinds of squash, but this one is so bland, it takes too much butter and salt to help it out. Veggie that I want to try: I can't think of one off hand. I have tried almost everything. What gets in the way is preparation. So I do things in batches - like carrot sticks, broccoli flowerettes, etc. so I can reach in the fridge and grab a handful. I also usually travel with carrot sticks in my car. favorite vegetable: It's a tie between spinach, broccoli, and squash. least favorite: beets, mushrooms, and olives. yuck. what gets in the way of eating more vegetables: We buy most of our vegetables at a farmer's market on Saturday but by the end of the week, we are often totally out of fresh veggies. Your on my google home page care of RSS feed, so I've never signed up for the email service. What get in the way: Like Erika said, location I'm in rural central vermont, with a foot of snow on the ground. But my tomato plants are under lights waiting for it all to end! I think my least favourite would be turnips, they just have a funny flavour, but I think I've managed to make them palatable with a bit of browned butter!! Or maybe the really bitter salads with that red cabbage stuff in. I've never bothered much with artichokes, I wait for someone else to prepare them, too much bother! I dont really have a problem with getting veggies on the table, but I've found your website very useful now I'm a CSA member as it gives me ideas of what to do with all those wacky veggies I dont recognise!! Wow Alanna that is really terrific! Easy to use and really getting extensive. Good job. Wow, this must have taken a lot of work to put together. I look forward to your posts every time I see them in my inbox. Thank you for sharing with us. Great job! 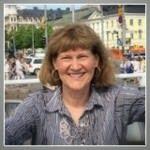 Alanna, I have used your blog to inspire my veggie-fearing stepdaughters to explore new things, try new veggies until we find some that they really love. Since they visit us every-other-weekend, I started at the beginning of the alphabet and, using your site as inspiration, find a recipe for that letter. At first they were skeptical but it became fun for them and they've found several recipes that they truly enjoyed! Now, when they arrive at our house on Friday evenings they ask, "What veggie are we up to this week?" *smile* I'm so pleased! By the way, we are on "F" now, so I'll be making your Potato Soup next weekend. One of the first recipes we tried was the Spinach & Artichoke Gratin which I had posted up on my old blog. My favorite vegetable is so hard to determine as I love them all but asparagus is probably my #1. Least favorite is beets, though I don't hate them. The only vegetables I haven't delved deeply into are from the squash family so I'd like to experiment more with them. What gets in the way of eating more vegetables is simply time and laziness..and the fact that some of my family members don't like veggies (see above) and I hate to cook them just for me! Favorite vegetable? Difficult to narrow my selection. Sometimes a vegetable will become more exciting because of the preparation method. Example: Parsnips were never on my grocery list, until I tasted them roasted. They are incredible in a roasted vegetable medley! Vegetables I have just started to use frequently within the last few years, include swiss chard and fennel. kohlrabi or fennel to add to a salad. The vegetable I avoid is green pepper. Not because I don't like green pepper...it doesn't like me! Realize I have never tried Salsify or Cardoon. To provide variety I need to purchase in small quanities. 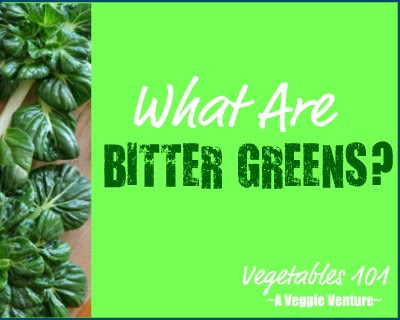 Packaging or amounts oftentimes "gets in my way" of trying new vegetables. I love the new alphabet layout! It looks great. My favorite vegetable? Probably broccoli, with parsnips a close second. I despise ... well, I don't know. I'm not a huge fan of squash, but I keep trying. I don't like radishes. Vegetable I'd like to try: beets. I'm a bit afraid of them. My biggest challenge in trying new things is the local market. We're in the middle of nowhere and people are conservative right down to their food choices. It's getting better, though. So far, my favorite recipe from this site is the honey-vinegar carrots. They rock. I'm not delurking because I've posted here numerous times, but I'm responding anyway! My most favorite vegetable has got to be okra, and it has to be fried in cornmeal. I can make a meal of it! My least favorite - beets. Yuck. Won't eat 'em. A vegetable I've never tried but would love to would have to be spaghetti squash. I've heard it's a great substitute for spaghetti. The hardest thing to me about getting vegetables on the table is keeping them fresh in the refrigerator, since I don't have a garden and don't shop often. I really don't care for frozen vegetables, and there are a few that I'll eat canned (like turnip greens), so I like to eat fresh ones. Now I'm going to find a new way to use a vegetable - haven't decided which one yet. The brussels sprouts in the fridge will be steamed. We don't like them any other way, though we've tried roasted. They came out bitter. I'll let you know what we do. Thanks for the "challenge." My favorite vegetable: It would have to be asparagus. Or maybe spinach. My least favorite vegetable: Mushrooms, though only when they're cooked--which I know is weird. I like them just fine raw on a salad. Vegetable I've never tried but would like to: Beets. I've only had pickled beets from a can. I'd love to make this: http://kitchen-parade-veggieventure.blogspot.com/2005/10/day-208-roasted-beets-with-balsamic.html. Hardest thing about getting vegetables onto the table: Since I'm cooking for myself most of the time, my biggest problem is using all my veggies before they spoil. Favorite: The eggplant, even though it cannot be eaten raw and is really a fruit. Least Favorite: Potatoes, they are just so bland in comparison to the rest. To try: I think I've had all except for some of the more delicate leafy greens. Biggest challenge: Eating fresh produce in time when feeding one and still having variety. Hi Alanna! See, I can do it. What I needed was a specific challenge! Your alphabet of vegetables is fabulous and easy to use. It made picking my favorite veggie fun and extremely difficult. For versatility there is broccoli. For fun, edamame. For taste, some days arugula, some days sweet potatoes. Or something fresh out of the garden is always great. And then there is tofu. I never really think of it as a vegetable but I love your tofu recipes, especially Lentil, Pepper and Spinach Supper. I am always looking for something interesting to do with tofu and that was amazing. Just the fragrance of the spices was worth the effort! My least favorite vegetables were easier to identify. They are still brussels sprouts and beets. Sorry! A veggie I haven't tried but would like to? Squash blossoms caught my eye. If I've tried them I don't remember and I definitely should have tried them by now. Edible flowers are just fun! What gets in the way of eating more vegetables at my house? I think it is probably a general lack of meal and family planning. I am often surprised by who is or isn't at home at dinner time and that effects the way I prepare a meal. If most of the family is out most of the week those gorgeous vegetables I buy at the market turn ugly before I use them. That is discouraging. Great ideas! Thanks for the challenge! I like your new 'alphabet'. It will be fun to work my way through it. I think next will be your 'B'eets with Feta. Favorite? I've yet to meet a veggie I don't like. My favorite changes each time I cook one. Least Favorite? The herb tarragon, perhaps because it's aroma and flavor are so overwhelming. Haven't tried? Sunchokes. I keep meaning to when I read about them, but haven't yet. What gets in the way? My schedlule. For me it's getting to to market so I have them on hand when I want to cook. Too often I buy them and then they spoil before I use them. My favorite cooked vegetable is green beans. I was raised with mostly the canned variety but I also like to cook up frozen or fresh beans, too. The flavor, look and texture of the three is very different. It's almost like three different vegetables. Here's the basics of my green been stir-fry. Which type of green bean I use changes the dish significantly. I usually use the canned variety. Preheat electric skillet to about 200 F. Add olive oil, black pepper, chili peppers, seasoned salt, garlic, onions, mushrooms and tofu. Let flavors blend until the mushrooms reduce. Add contents of one can of green beans. I always pour off the liquid then fill the can with water to add to the skillet; I feel that's healthier than using the canning water. Crumble two square Chinese noodle cakes into skillet. Add chopped nuts. Stir and cover until most of the liquid is absorbed. Serve as the main part of a vegetarian meal (serves 2 - 3) or as a side dish. I top each plateful with Kraft Signature Sun-dried Tomato salad dressing and Soy Sauce to taste. I grew up as a very picky eater. I'm 47 and I'm still fairly picky. One vegetable I haven't even been tempted to try is Brussels Sprouts. I think it's the strong smell that turns me off. I'm not a fan of Broccoli (probably for the same reason, it's strong smell) but I've learned to eat Broccoli when it's a part of mixed cooked vegetables. I don't know if Brussels Sprouts can be eaten raw but I do prefer most vegetables in their raw state. I'll have to go through the alphabet to discover some new vegetables to try. I think I should explore the Asian ones because they are more and more common in the regular grocery stores around here. My favourite vegetable would be the potato for its absolute versatility but my fav veggie dish is a raw banana saute my mom makes, it is one of the traditional recipes from our native cuisine. The one I do not care for much is the yellow pumpkin, i feel it tastes very odd for a vegetable! I love buying veggies from the open air markets (in Bombay we have one for every locality and its open year round), but the supermarkets are cool too for the sheer convenience when the weather is bad or for a more relaxed shopping, and I have to go buy veggies atleast twice a week, because it is the mainstay of our food. veggie that i've never tried - lotus root. i've tried it now, and posted about it. what prevents me from eating more veggies? i'm vegetarian, so i eat lot of them, but i love bread and can eat it thrice a day. that fills me up and i don't have enough room for veggies. Favorite Vegetable: eggplant because it is so versitile and because I can disguise it easily so that my kids don't know they're eating vegetables. This is my first visit to you site. It’s delightful.